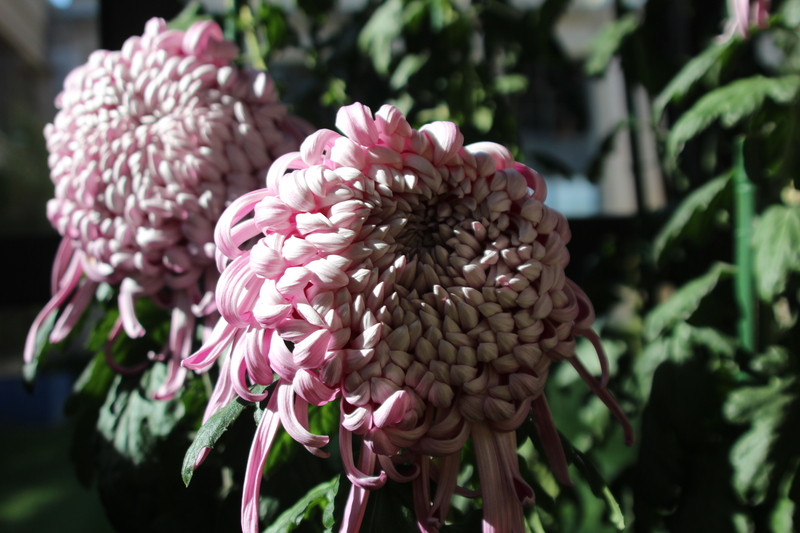 This Chinese philosopher certainly would smile if he saw how widespread these “mums” have become as the darling of today’s fall floral displays. 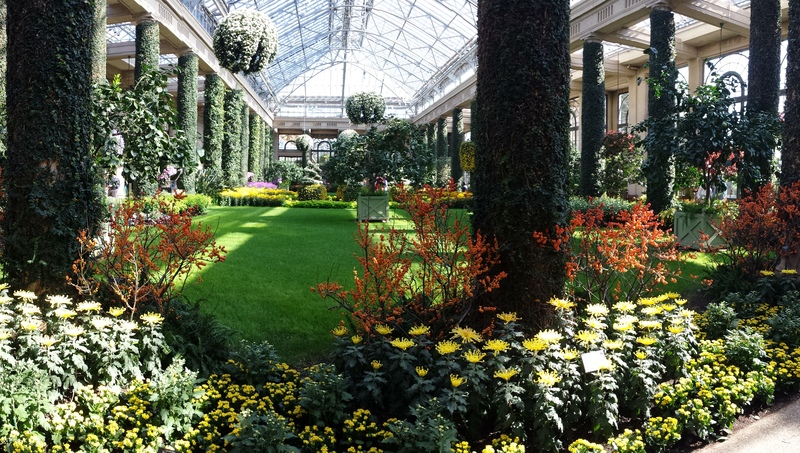 In fact, I recently was one of thousands visiting the popular Chrysanthemum Festival at Longwood Gardens in Kennett Square, Pa. 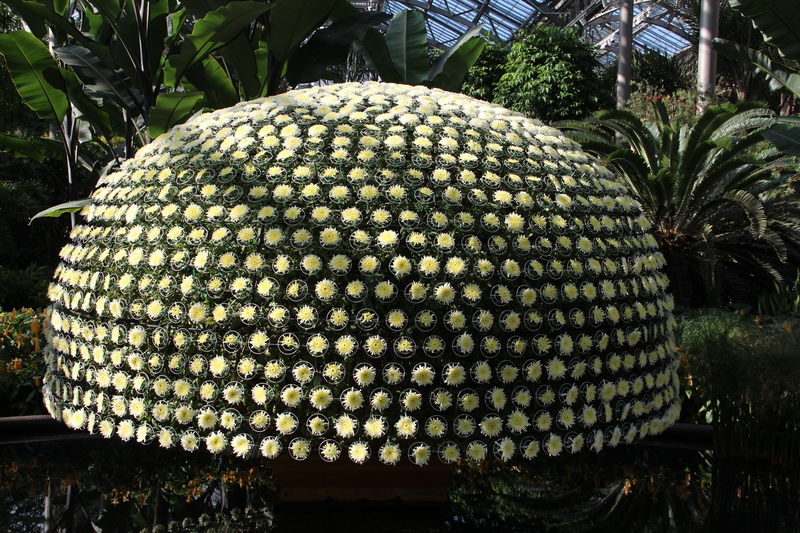 Inside Longwood’s four-acre conservatory, more than 80,000 chrysanthemum blooms are nurtured and trained into inspiring forms, including shields, spirals, cascades, balls, and even a 10-foot tall yellow chandelier. The crown jewel of the display was the Thousand Bloom Mum—featuring more than 1,500 perfectly arranged flowers—the largest of its kind grown outside of Asia. First Mum — The chrysanthemum was first cultivated in China as a flowering herb and is described in writings as early as the 15th Century B.C. Imperial Blossom — Around the 8th century A.D., the chrysanthemum appeared in Japan. So taken were the Japanese with this flower that they adopted a single flowered chrysanthemum as the crest and official seal of the Emperor. Japan also celebrate a National Chrysanthemum Day, called the Festival of Happiness. Winning the West — The chrysanthemum was first introduced into the Western world during the 17th Century. In 1753 Karl Linnaeus, founder of modern taxonomy, combined the Greek words chrysos, meaning gold with anthemon, meaning flower. They belong to the Compositae, or daisy family. 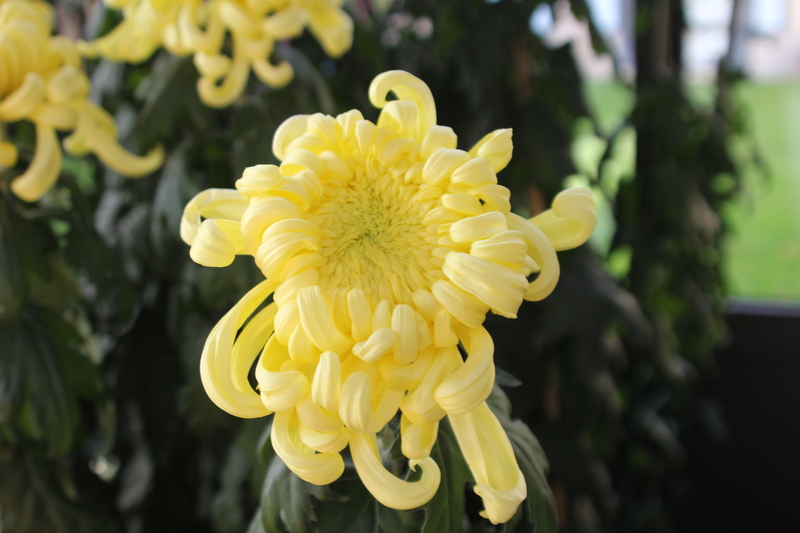 New Colors, Forms — In more recent times, growers within several countries began to propagate chrysanthemums. Hybridizers in England, France, Japan, and the United States have developed a wide range of floral colors, shapes, and sizes. Today’s colors include pink, purple, red, yellow, bronze, orange, white and bi-color variations. Keeping Track — To help with identification, the National Chrysanthemum Society developed a classification system with 13 classes ranging from the large “football” mums to spider-shaped blooms to the classic potted mums. 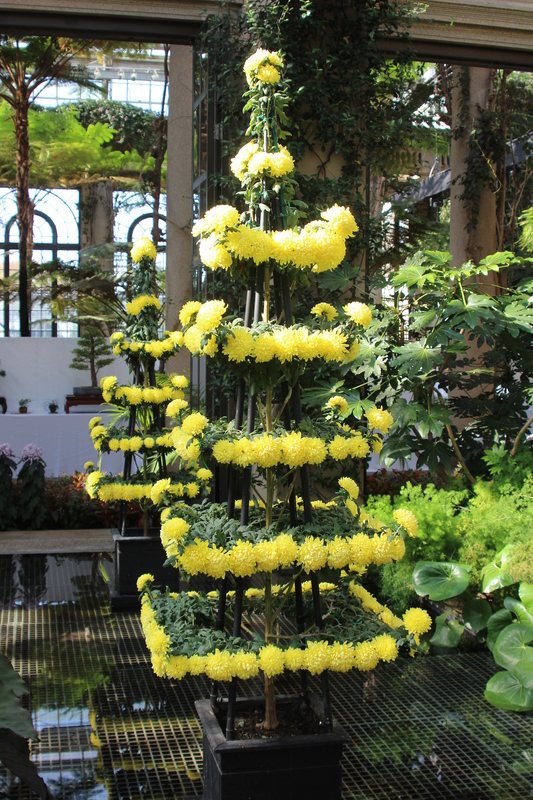 Some of these chrysanthemum cultivars can be trained into different forms as showcased at annual displays at Longwood Gardens, New York Botanical Garden and Bellingrath Gardens near Mobile, Al.